The Indian Premier League (IPL) has produced some world-class Indian cricketers who have gone on to represent their country in international cricket. But at the same time, it has also been the stage where some of the finest talent from the world has come and performed. We look at the five of the very best of international cricketers who have left an enduring legacy in the IPL. We have chosen these players not only on the basis of their individual records but also their contribution to the franchise/s they have represented. The poster boy of T20 cricket, Chris Gayle is the most feared and intimidating batsman in IPL history. The sheer volume of his runs – 3994 in 111 innings (second-highest for an overseas batsman in IPL) coupled with his phenomenal average (41.17; the highest in IPL history for any batsman) and mind-boggling strike rate of 150.71, make Gayle a complete package. Gayle has represented three franchises (Kings XI, KKR, RCB) but was at his devastating best for the Challengers – 3163 runs in 84 innings at an average of 43.32 and strike rate of 152.72. Five of his six IPL hundreds – again the highest in IPL - were registered playing for RCB including the greatest innings in the league’s history – 175 not out against Pune Warriors India in Bengaluru in 2013 – of just 30 deliveries – making it the fastest hundred in IPL history. Gayle also holds the record for the maximum number of sixes – 292 – in IPL. 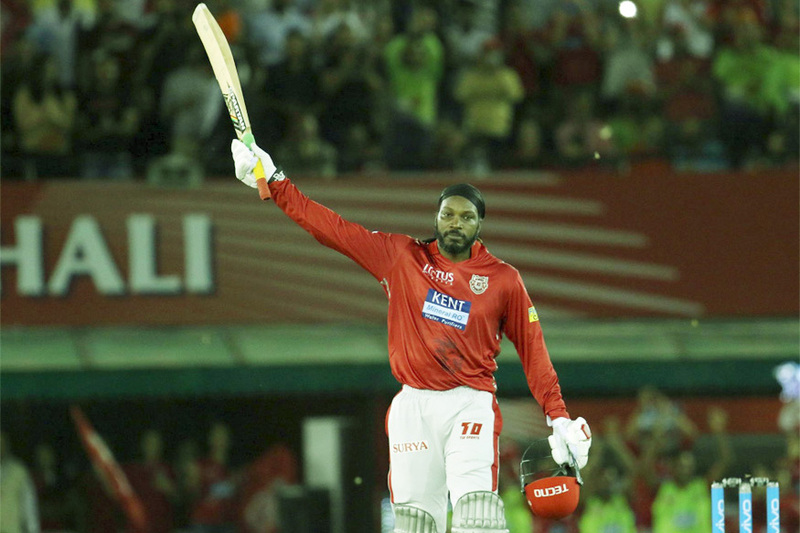 Gayle was at his peak between 2011-13 – he scored in excess of 600 runs, averaged above 55 and struck at a rate of 155-plus in three consecutive IPL seasons. 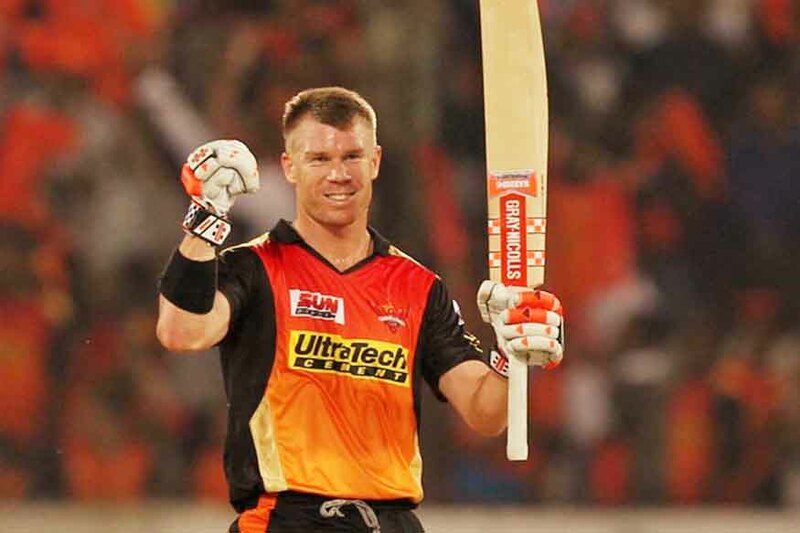 David Warner has the highest aggregate for an overseas batsman in IPL history – 4014 runs in 114 innings at an average of 40.54 and strike rate of 142.13. He has represented two franchises – the Delhi Daredevils and Sunrisers Hyderabad – his record for the latter is outstanding – in 4 seasons (2014-2017) he has aggregated 2579 runs in 59 innings at a staggering average of 52.63 and strike rate of 147.70. He has been phenomenally consistent with 27 fifty-plus scores (one hundred and 26 fifties) for Sunrisers and has scored in excess of 500 runs at an average of at least 40 with a minimum strike rate of 140 in these 4 editions. He was the top-scorer in the victorious 2016 final against the Challengers (69 in just 38 balls opening the innings). He was the second-highest scorer that season with 848 runs in 17 innings at an average of 60.57 and strike rate of 151.42, including 9 fifties. 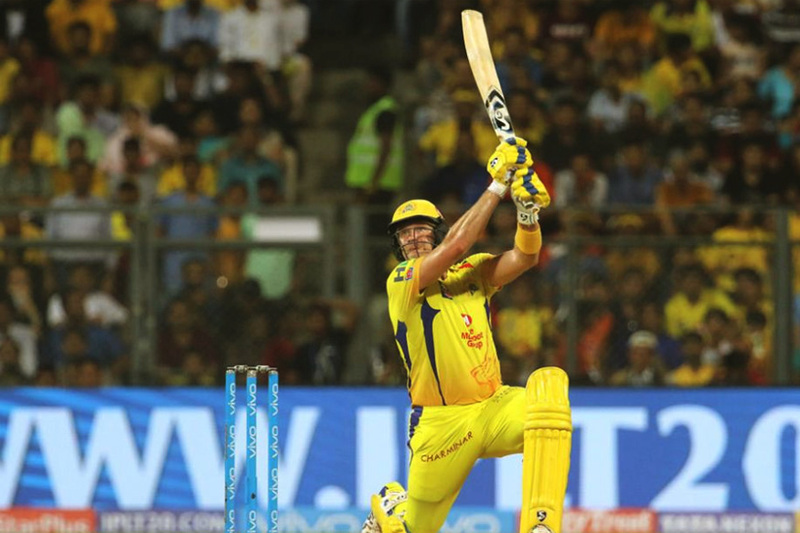 Shane Watson has been the fourth-highest overseas scorer in IPL history after Warner, Gayle and AB de Villiers. His 3177 runs in 113 innings have come at an average of 32.41 and strike rate of 141.20. His exploits have included 4 hundreds and 16 fifties. He has also been effective with the ball picking 92 wickets at an economy of under 8 and strike rate of 22 in his IPL career. Watson has been instrumental in two IPL wins in his coveted career. He was the leading run getter (472 runs in 15 innings at an average of 47.20 and strike rate of 151.76) and also picked 17 wickets at a strike rate of 19.1 and economy of 7.07 for Rajasthan Royals in their victorious campaign in the first edition of the IPL in 2008. He aggregated 555 runs in 15 innings at an impressive average of 39.64 and strike rate of 154.59 for Chennai Super Kings in 2018 and ended the league with a magnificent unbeaten 117 off just 57 deliveries – including 11 fours and 8 sixes – taking CSK to a third IPL victory. 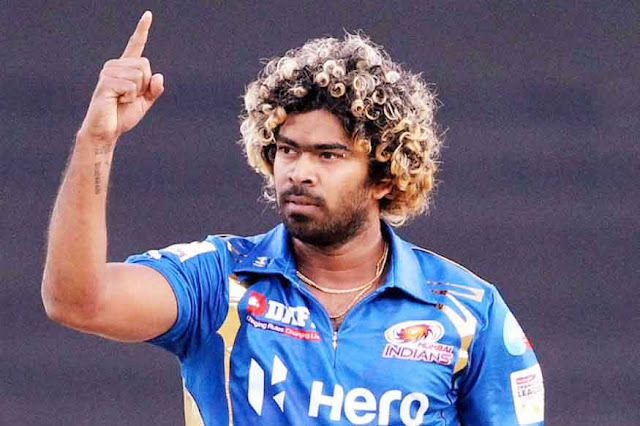 Lasith Malinga is the leading wicket-taker in IPL history – amongst all bowlers – Indian and overseas. He has aggregated 154 wickets in 110 innings at 19.01 apiece (best bowling average in IPL history) and a brilliant restrictive economy rate of 6.86. He has been a part of three IPL wins for Mumbai Indians and played a leading role in two of them. In 2013, he picked 20 wickets in 17 innings at 23.40 apiece at an economy of 7.16 whereas in 2015 he was the leading wicket-taker for Mumbai Indians (and the second overall) picking 24 wickets at 18.50 apiece at an economy of 7.40. Malinga has been phenomenally consistent too and has taken a minimum of 15 wickets, averaged less than 25 with an economy rate of less than 7.5 in seven successive editions -2009 to 2015. Dwayne Bravo is the second-highest leading wicket-taker amongst pace bowlers in IPL history (after Malinga). He has taken 136 wickets in 119 bowling innings at 24.17 apiece at a strike rate of 17.1. 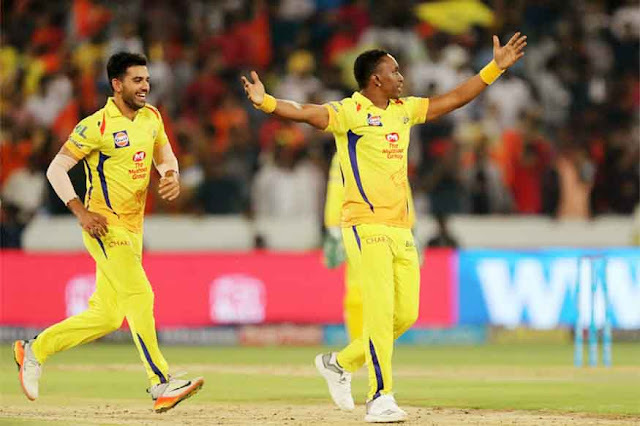 He has been a part of two IPL victories for CSK – in 2011 and 2018 – playing an effective role as an all-rounder in the latter - he picked 14 wickets and scored 141 runs at a rate of 154.94 in 2018. He has been the leading wicket-taker in a season on two occasions – in 2013 when he picked 32 wickets – which remains a record for the highest number of wickets taken by a bowler in any IPL season – and in 2015 when he tallied 26 wickets at 16.38 apiece at a sensational strike rate of 12.07. Bravo has also scored 1403 runs at an average of 23.77 and useful strike rate of 128.71 in his IPL career.